3600111 10BOP-7 HYUNDAI 10BOP-7 Electric Forklift Reach Truck BOP series. Spare parts catalog. Service Manual. 3600112 13BOP-7 HYUNDAI 13BOP-7 Electric Forklift Reach Truck BOP series. Spare parts catalog. Service Manual. 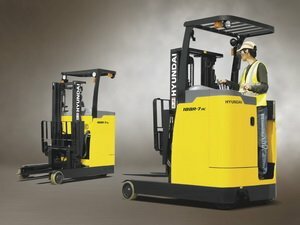 3600114 10BR-7 HYUNDAI 10BR-7 Electric Forklift Reach Truck BR series. Spare parts catalog. Service Manual. 3600115 13BR-7 HYUNDAI 13BR-7 Electric Forklift Reach Truck BR series. Spare parts catalog. Service Manual. 3600116 14BR-7 HYUNDAI 14BR-7 Electric Forklift Reach Truck BR series. Spare parts catalog. Service Manual. 3600117 15BR-7 HYUNDAI 15BR-7 Electric Forklift Reach Truck BR series. Spare parts catalog. Service Manual. 3600118 18BR-7 HYUNDAI 18BR-7 Electric Forklift Reach Truck BR series. Spare parts catalog. Service Manual. 3600119 20BR-7 HYUNDAI 20BR-7 Electric Forklift Reach Truck BR series. Spare parts catalog. Service Manual. 3600120 25BR-7 HYUNDAI 25BR-7 Electric Forklift Reach Truck BR series. Spare parts catalog. Service Manual. 3600122 14BRJ-7 HYUNDAI 14BRJ-7 Electric Forklift Reach Truck BRJ series. Spare parts catalog. Service Manual. 3600123 16BRJ-7 HYUNDAI 16BRJ-7 Electric Forklift Reach Truck BRJ series. Spare parts catalog. Service Manual. 3600124 20BRJ-7 HYUNDAI 20BRJ-7 Electric Forklift Reach Truck BRJ series. Spare parts catalog. Service Manual. 3600125 25BRJ-7 HYUNDAI 25BRJ-7 Electric Forklift Reach Truck BRJ series. Spare parts catalog. Service Manual. 3600127 15BRP-7 HYUNDAI 15BRP-7 Electric Forklift Reach Truck BRP series. Spare parts catalog. Service Manual. 3600128 18BRP-7 HYUNDAI 18BRP-7 Electric Forklift Reach Truck BRP series. Spare parts catalog. Service Manual. 3600129 20BRP-7 HYUNDAI 20BRP-7 Electric Forklift Reach Truck BRP series. Spare parts catalog. Service Manual. 3600130 23BRP-7 HYUNDAI 23BRP-7 Electric Forklift Reach Truck BRP series. Spare parts catalog. Service Manual. 3600132 HBR14-II HYUNDAI HBR14-II Electric Forklift Reach Truck HBR series. Spare parts catalog. Service Manual. 3600133 HBR15-II HYUNDAI HBR15-II Electric Forklift Reach Truck HBR series. Spare parts catalog. Service Manual. 3600134 HBR18-II HYUNDAI HBR18-II Electric Forklift Reach Truck HBR series. Spare parts catalog. Service Manual. 3600135 HBR20-II HYUNDAI HBR20-II Electric Forklift Reach Truck HBR series. Spare parts catalog. Service Manual. 3600136 HBR14-7 HYUNDAI HBR14-7 Electric Forklift Reach Truck HBR series. Spare parts catalog. Service Manual. 3600137 HBR15-7 HYUNDAI HBR15-7 Electric Forklift Reach Truck HBR series. Spare parts catalog. Service Manual. 3600138 HBR18-7 HYUNDAI HBR18-7 Electric Forklift Reach Truck HBR series. Spare parts catalog. Service Manual. 3600139 HBR20-7 HYUNDAI HBR20-7 Electric Forklift Reach Truck HBR series. Spare parts catalog. Service Manual. 3600140 HBR25-7 HYUNDAI HBR25-7 Electric Forklift Reach Truck HBR series. Spare parts catalog. Service Manual.